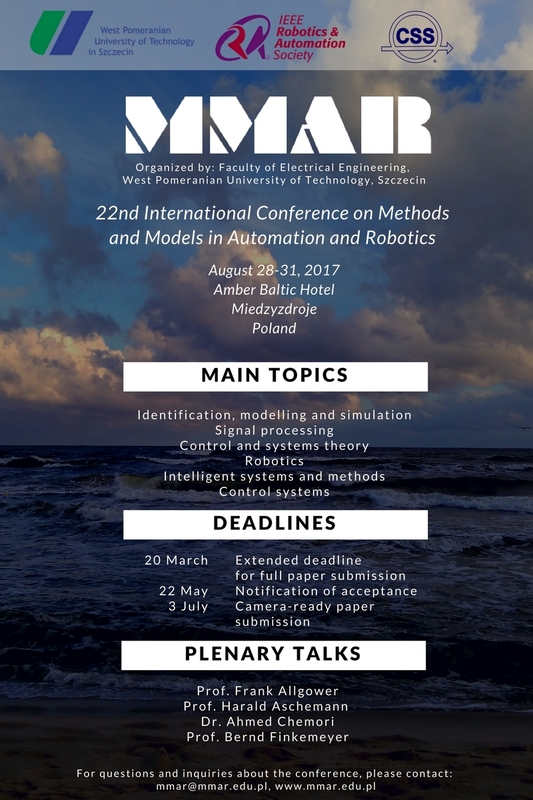 The 22nd International Conference on Methods and Models in Automation and Robotics is an annual conference that took place in Międzyzdroje, Poland, between 28th August and 31st August 2017. The proceedings for MMAR 2017 are available in the IEEE Xplore® Digital Library. The proceedings for MMAR 2017 are available in the CPCI (Web of Science). Please be warned that these links will disappear after September 2017! 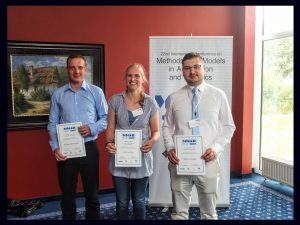 with nominations given to Michał Maciejewski, Paweł Latosiński and Marcin Pazera.